The past decade has witnessed a renaissance in Gran Fondo participation across the American continent. It is both fantastic and a privilege to see so many world-class events on now our doorstep, from coast to coast to coast. 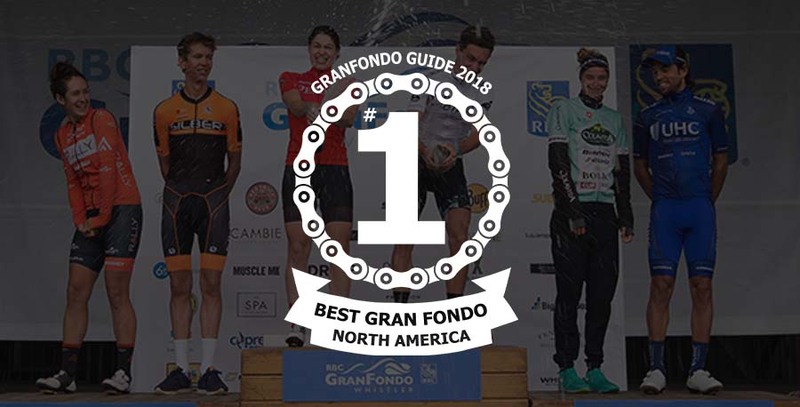 This weekend, we are honoured to announce that RBC GranFondo Whistler has been voted the best Gran Fondo in all of North America by GranFondoGuide, the trusted industry voice. The best Gran Fondo; right here in British Columbia. We are humbled to be considered at the forefront of this wave and with this award are more committed than ever to creating the best cycling events possible on the planet. So go ahead: pull up a chair, get comfy, tell your friends and book your place for 2018; there’s never been a better time to be riding. We pride ourselves for being at the forefront of this wave of innovation and are committed to continue leading the cutting edge of Gran Fondo in North America.